Anker makes accessories, and you’ve probably purchased more than a few of them over the years. The brand is known for chargers, cables, and speakers. Now it’s making a more serious effort with speakers. 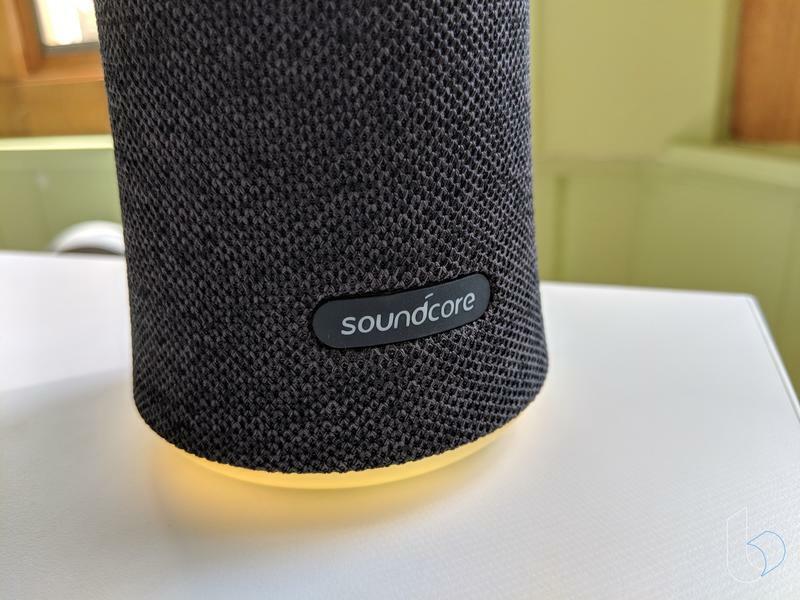 Its Soundcore Flare, which recently became available on Amazon, keeps the budget-friendly price tag but introduces features you’d normally appreciate from a fancier accessory. Rather than being a rubber-made block, this Bluetooth speaker is a cylinder covered in fabric. That gives the Soundcore Flare an attractive, premium appearance. Yet you’re still paying just $60 for 360-degree sound. 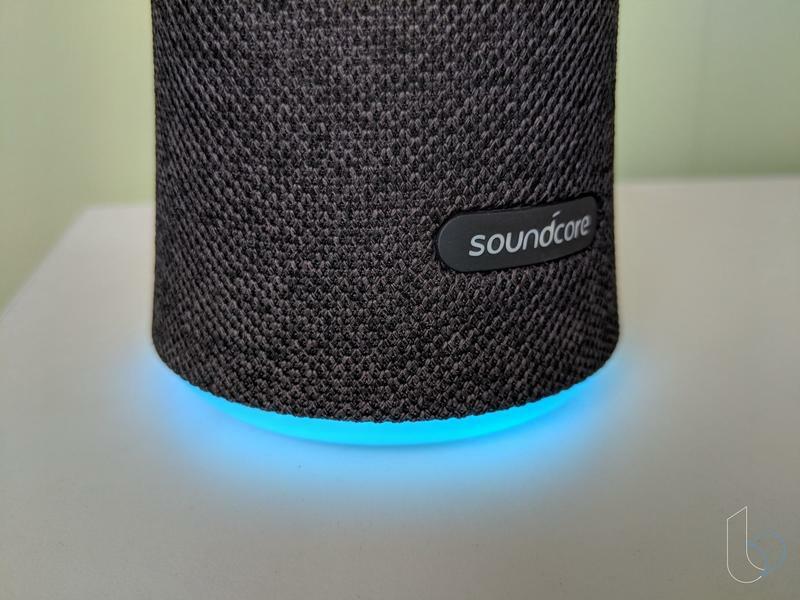 The Soundcore Flare doesn’t have a built-in digital assistant, but one isn’t necessary anyway. You can make do without Alexa or Google Assistant. 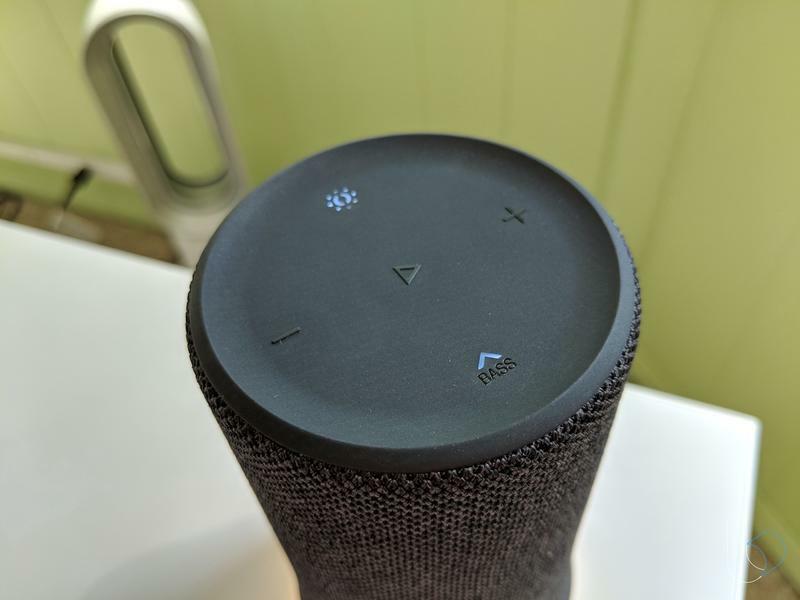 That’s because you probably already have a smart speaker with one of the popular digital assistants in your home or office. If you do already have something like the Amazon Echo or Google Home, you’re set to leverage those smarts with Anker’s stylish Bluetooth speaker. The whole layout is simple, and its style is sleek. Anker used fabric around the sides with rubber at the top and bottom. 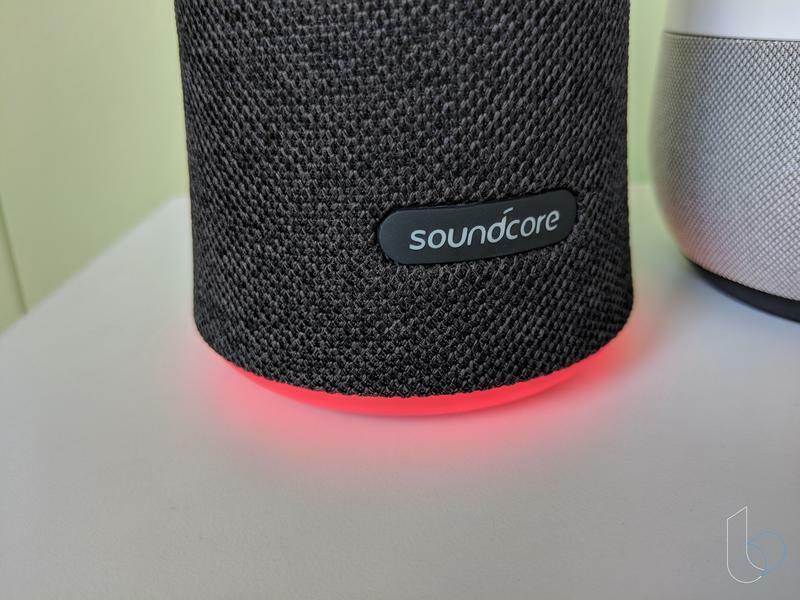 To be honest, the Soundcore Flare comes across as something between the Google Home and the Google Home Mini. 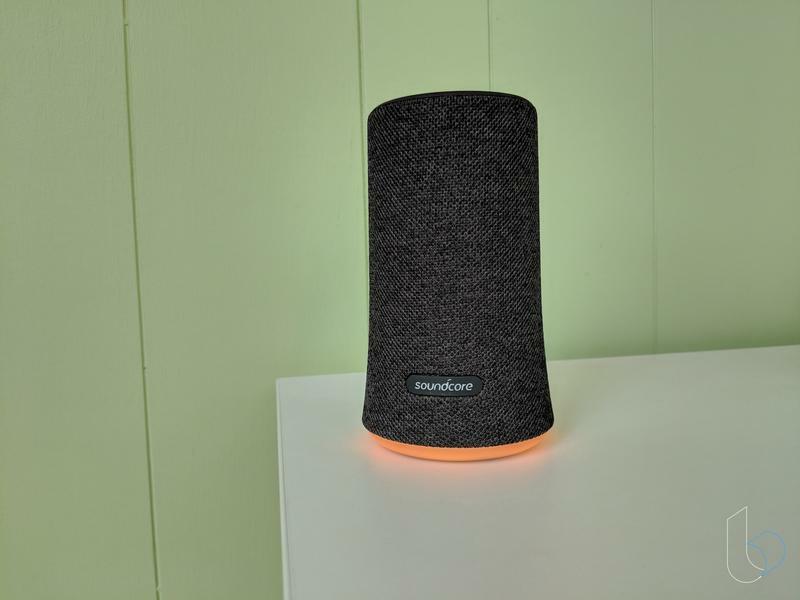 Google uses fabric on its smart speakers, and the Soundcore Flare has a very similar aesthetic. As nice as it looks, the Soundcore Flare is also water-resistant. The IPX7 rating means it can be rained on, splashed, and submerged in water without damage. So this speaker could be your top choice for pool parties and trips to the beach this summer. Underneath, you get a pleasant surprise. Anker included a halo-shaped LED that shifts between five color themes and five illumination patterns. All of them, by the way, are customized using the Soundcore app for iOS and Android. While I didn’t find myself playing around with the LED ring, it’s a nice touch that can make your speaker match the vibe you’re going for. The price may be lower than what you’d expect, but its design is way better than you’d expect. It’s a balance that purely benefits you. Anker really outdid itself here. The Soundcore Flare is among the best-looking Bluetooth speakers you’ll find. Next, Anker should release in the Soundcore Flare in a white/grey mixture. Then you could easily fit this accessory into any room. Looks are everything these days, after all. 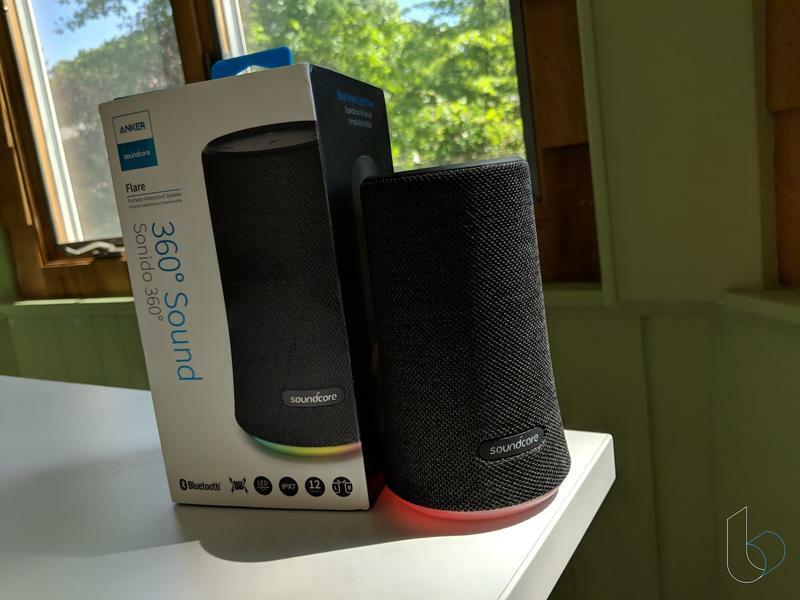 Using the Soundcore Flare is the same because, well, a Bluetooth speaker just need a Bluetooth connection. Around the back, there’s a power button as well as a Bluetooth button. You know how those work, and below them, there’s a cover for the auxiliary and micro-USB ports. Up top, you have buttons for controlling music, adjusting the LED ring, and activating the Soundcore Flare’s BassUp technology. By the way, you can pair two speakers together for stereo sound. Both units will work together to fire music at you from different directions for a more immersive experience. Anker estimates you’ll get up to twelve hours of playtime on a single charge, and that’s translated accurately to real-world use. 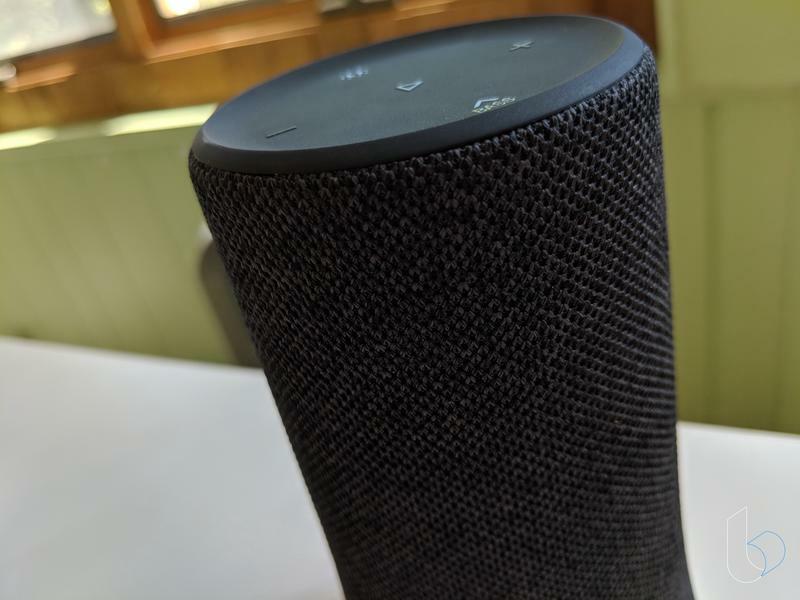 The Soundcore Flare doesn’t sound better than full-blown smart speakers on the market today. It does, however, compare nicely against their smaller counterparts. And that’s all you can ask for at $60. Aside from shooting sound around itself, the sound is powerful thanks to dual drivers and bass radiators. If you want more bass, activate BassUp. The real-time process involves analyzes frequencies and then intensifies them. Truthfully, I could barely tell whether BassUp was on or off. What did notice, however, were the sound profiles. With the Soundcore app, you can switch between sound profiles like Chill and Default. They’ll move your Soundcore Flare’s bass, midrange, and treble instantly. Know exactly what you like? Anker lets you make your own adjustments. 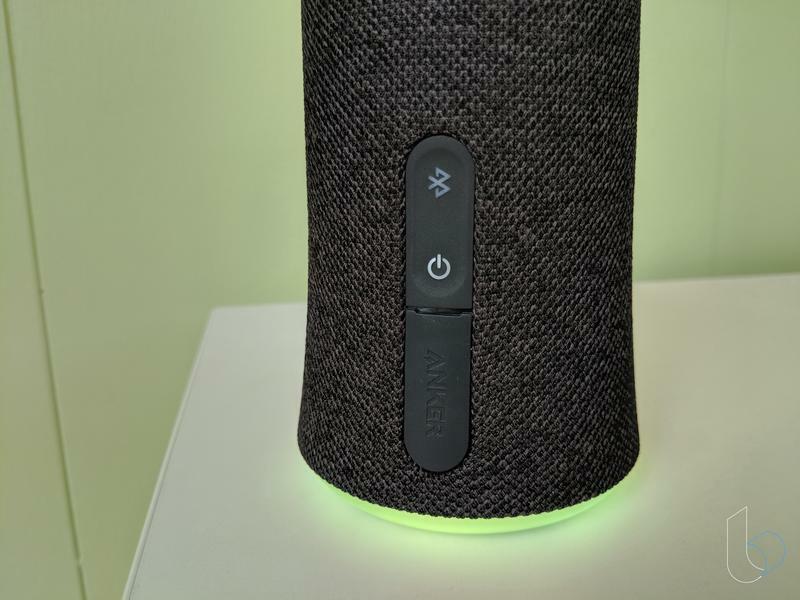 Both of the world’s most popular digital assistants let you pair their smart speakers with traditional Bluetooth speakers. So you don’t necessarily have to invest in another Echo or Google Home unless you want brainpower in more rooms. Otherwise, something like the Soundcore Flare makes sense. You’ll save money while adding another decent speaker. 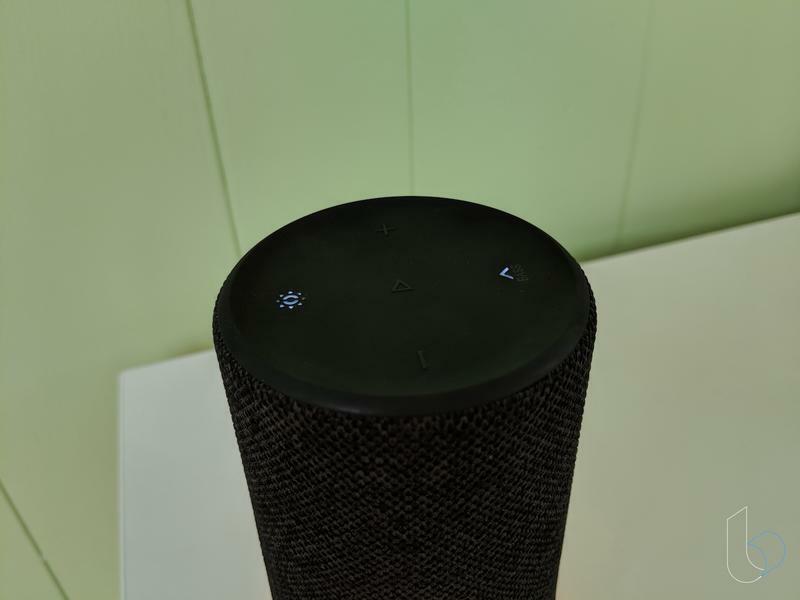 The Soundcore Flare shows the direction Anker is going in. Anker cares about design just as much as functionality. 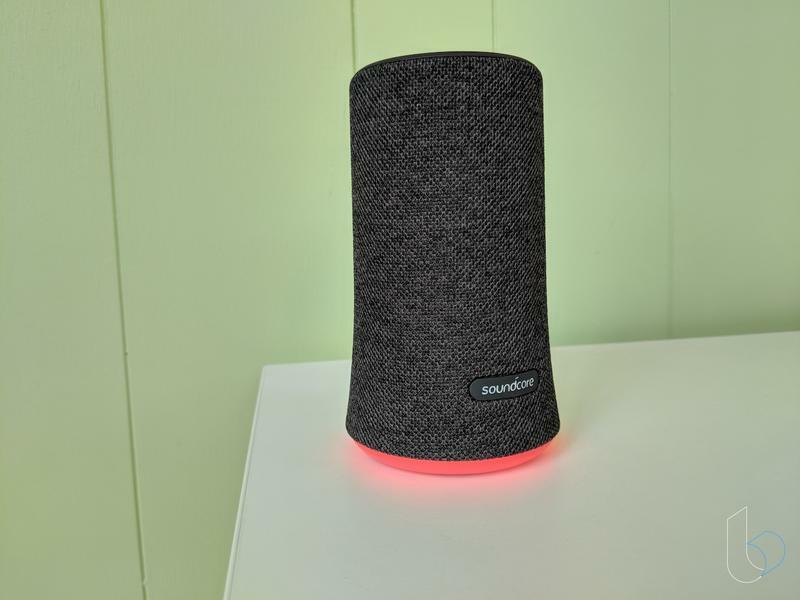 Its latest Bluetooth speaker would fool you into believing it’s a new high-end smart speaker, but the price reveals the Soundcore Flare is an expectations-beating speaker that looks fantastic.